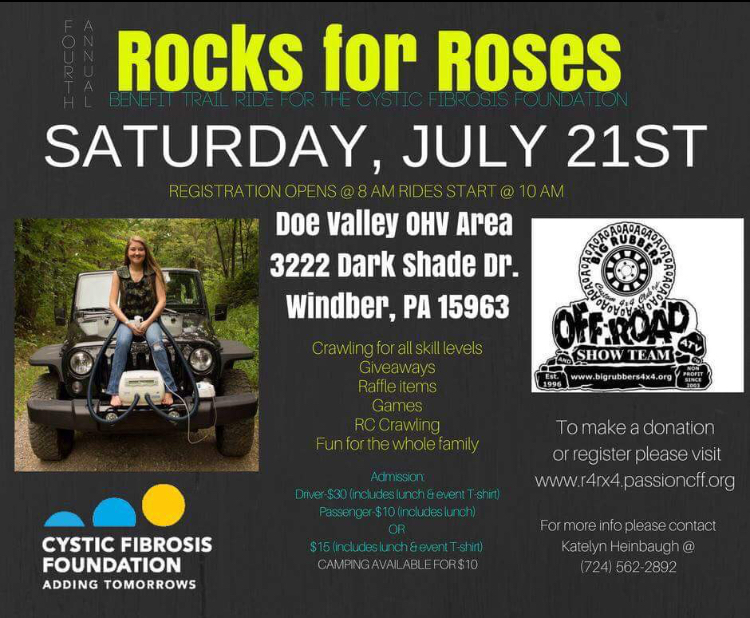 Saturday July 21st a great group of Jeep Riders gathered at the Doe Valley OHV area in Windber, PA to show support for “Rocks for Roses” an organized Jeep trail ride with the goal of raising awareness and funds for Cystic Fibrosis. Event organizer Katelyn Heinbaugh is a sweet young woman who along with her brother Billy, has been battling and continue to battle Cystic Fibrosis, a genetic disorder that affects mostly the lungs, but also the pancreas, liver, kidneys, and intestine. Long-term issues include difficulty breathing and coughing up mucus as a result of frequent lung infections. There is no known cure for cystic fibrosis. As you can imagine, Katelyn and Billy have spent most of their lives in and out of the hospital and dealing with all this disease offers. In comes the Cystic Fibrosis Foundation with a main goal of driving research to make a difference for people living with Cystic Fibrosis. They are able to do this with drug development, clinical trials, and advocacy work. The foundation steps in and helps in every aspect of battling this disease, along with helping patients afford the massive medical bills. 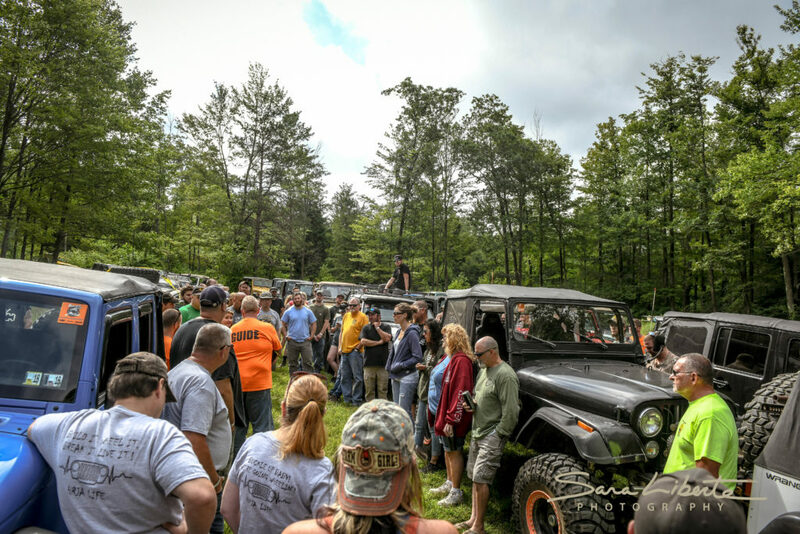 Katelyn is an outdoor enthusiast and enjoys trail riding with her fiancé Rain, so it was pretty natural for her to organize a Jeep trail ride that would support the Cystic Fibrosis Foundation. Now in it’s 4th year, Katelyn was hoping to meet her goal of raising $5,000 from this years event. We just got word she is at a little over $6,000 for the Cystic Fibrosis Foundation. 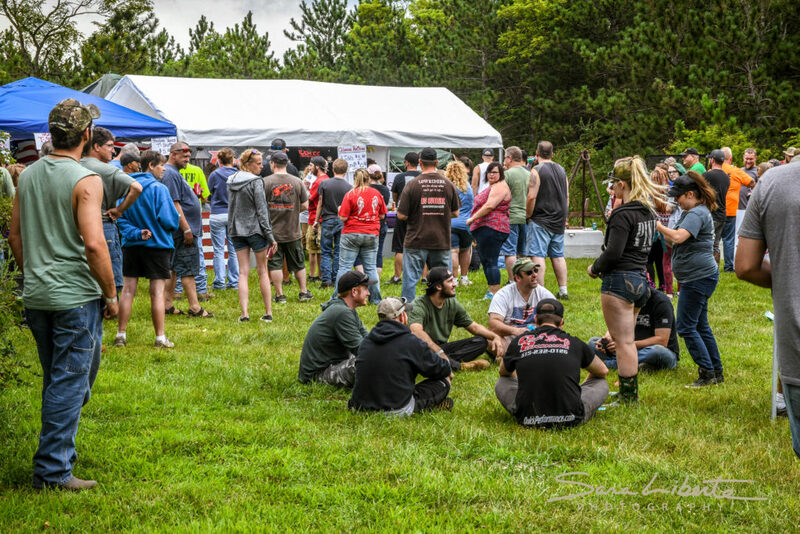 We are so happy to have ben able to show up and help support Rocks for Roses and we want to give a shout out to Star Brite (they are one of our sponsors for the Ultimate Biker Makeover). 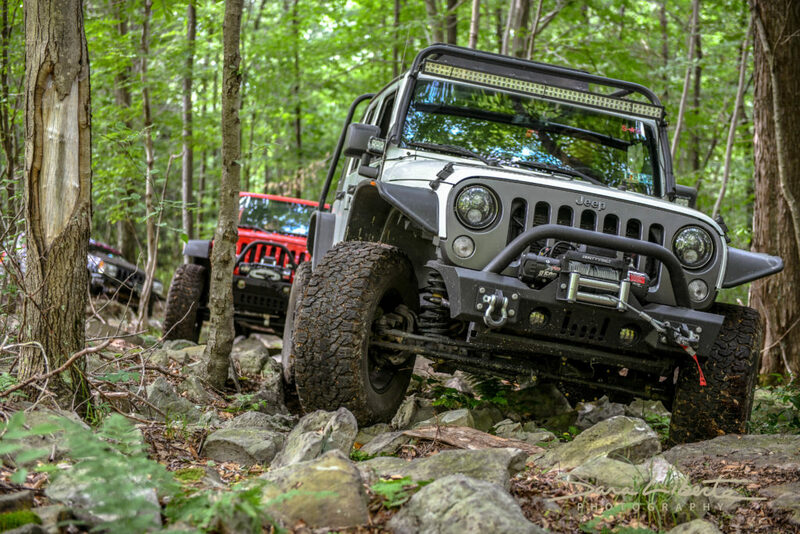 Star Brite stepped up and sent us a ton of Garage products that Jeep riders would enjoy. Katelyn was able to hand out awesome products like Extreme Clean, Salt Off, Corrosion Blocker, Snap and Zipper Lubricant, Water Spot Remover and the popular Liquid Electrical Tape. (We heard that was in big demand with this Jeep crew) Thank you Star Brite for supporting Katelyn and the Cystic Fibrosis Foundation. Let’s spread the word about Rocks for roses and help Katelyn double her goal for the 2019 Ride!